With Halloween and Thanksgiving Day coming up, you will surely need some ideas when it comes to surprising your children, making gifts and crafts. Designing crafts for boys is an interesting, fun, productive and very useful activity in the upbringing of your child. Nothing is more exciting and satisfying than something made with your own hands. 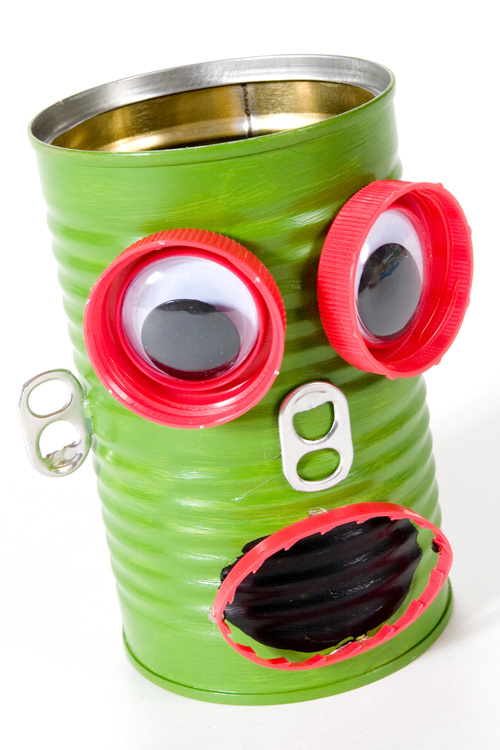 Furthermore, teaching your children to recycle different materials that you are not going to use anymore (eg. empty carton boxes from various products) is a very valuable lesson. We have enclosed some ideas for making crafts for boys which you may find inspiring and which also represent a great activity for father-son bonding. Fathers love creating crafts, even though they may not admit it; they will be very excited to craft something for their sons. This is one of the easiest crafts for boys you can make and it does not cost you too much, either. 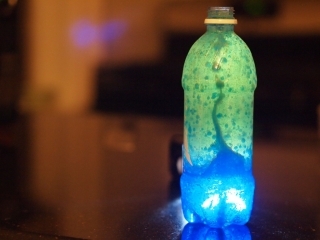 For this homemade lava lamp you will need: water, cooking oil, food coloring (any color you want), an empty water bottle (preferably made of plastic so it does not easily break and possibly injure you children), and some effervescent tablets (any kind of tablets that will produce a fizzy eruption). Once you have all the ingredients, you can start crafting your own lava lamp. Fill the bottle with two thirds oil and the rest with water, leaving about two fingers free at the top. It will be fun to see the two layers separate. Wait until the bubbles disappear for your next step – adding several drops of food coloring. Now wait until they reach the water layer and then (this is the best part) take an effervescent tablet and break it into 4 pieces. Drop a piece into the liquid and… the magic begins! When the tablet hits the water layer, it will create the fizz effect and the colored water will erupt in a multitude of bubbles. The only downside of this lava lamp is that it is a temporary lava lamp, meaning that the bubbles will stop as soon as the tablet disperses. However, the good part is that this type of effervescent tablets are easy to find and you can you can add another tablet anytime you wish. However, if the layer of oil becomes cloudy with little bubbles, just let it settle for a while until it clears and then you can add some more tablets. 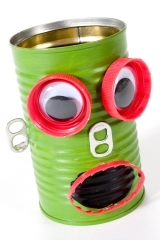 Crafts for boys can be very easy and cheap to make; one good example is this robot pen holder. Everybody needs a holder for pens, pencils, markers and other writing instruments. So why not create one yourself? Take an empty sturdy box (eg. A light bulb box), acrylic paints or water paints, some nuts, bolts, glue and you are set to begin your one of a kind robot pen holder. Paint the box any color you wish and let it dry. Draw the face of the robot on it, also glue on it some bolts and nuts to create the eyes of the robot or other parts of it. PreviousPrevious post:The Various Types of HumidifiersNextNext post:Should You Be Owning or Renting Land?